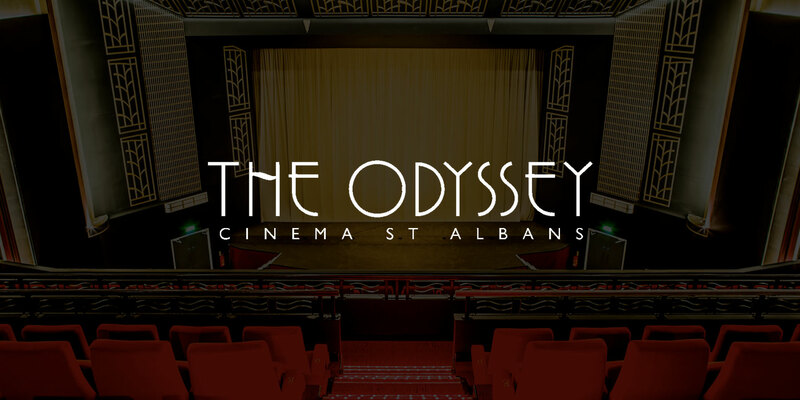 The Odyssey - Design House Studio Ltd. 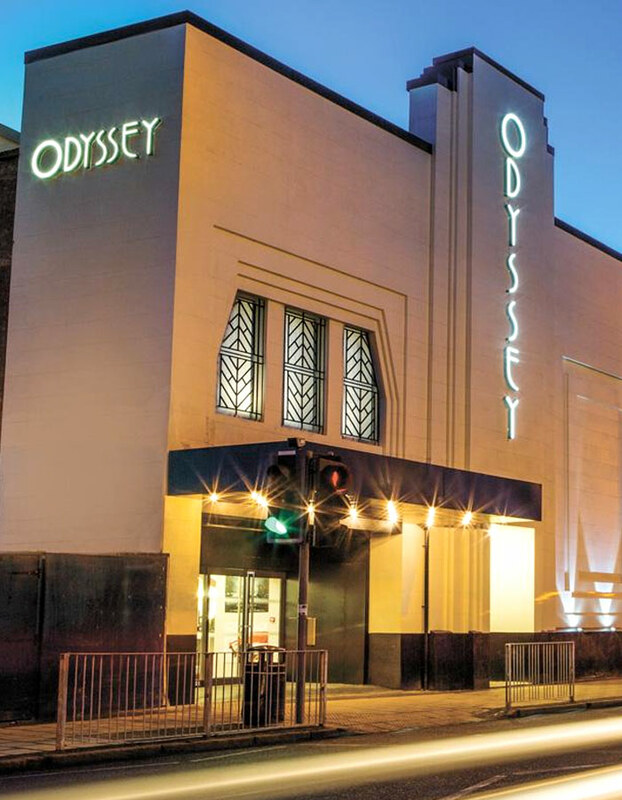 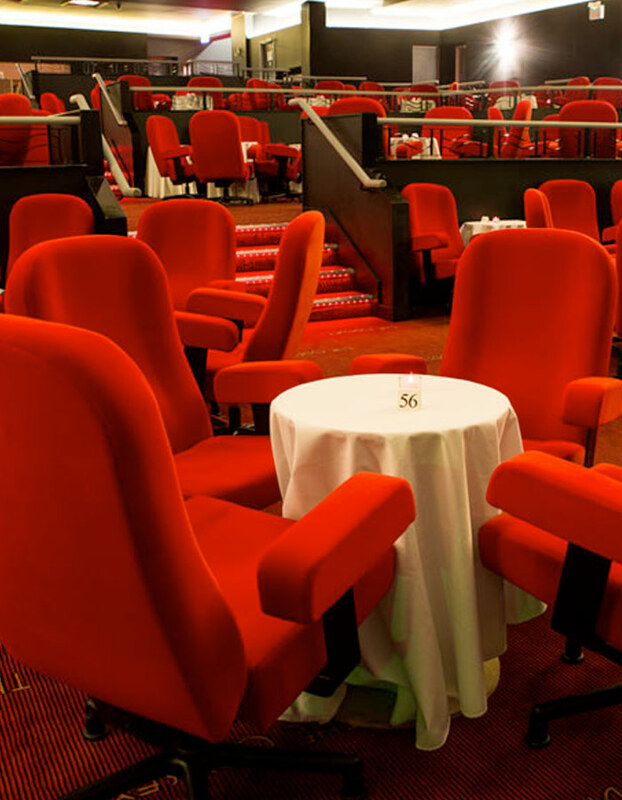 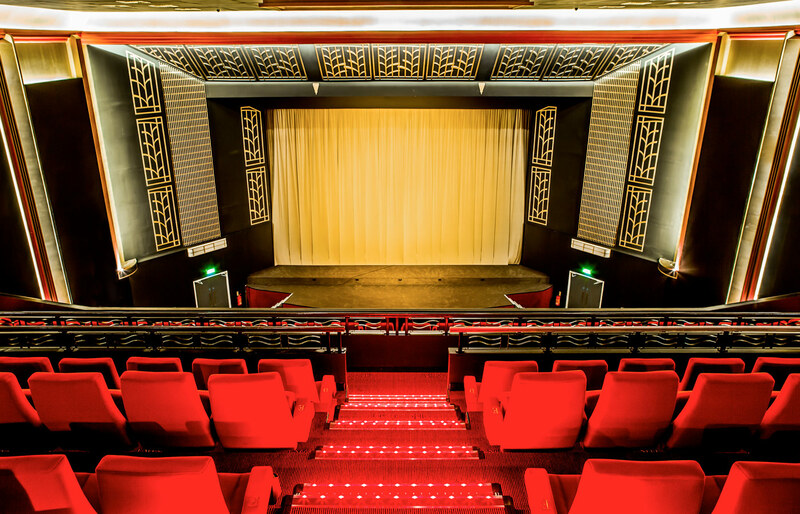 The Odyssey needed a revamp of their website to suit the cinemas beautiful setting and art deco feel. 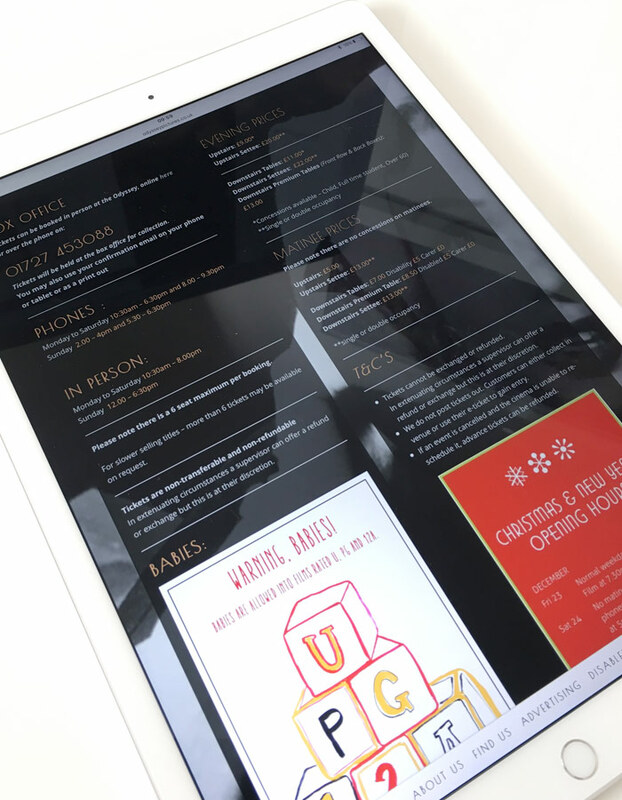 We used a custom post-type for their listings, as well as their foyer screens, which are distinct and user-friendly. 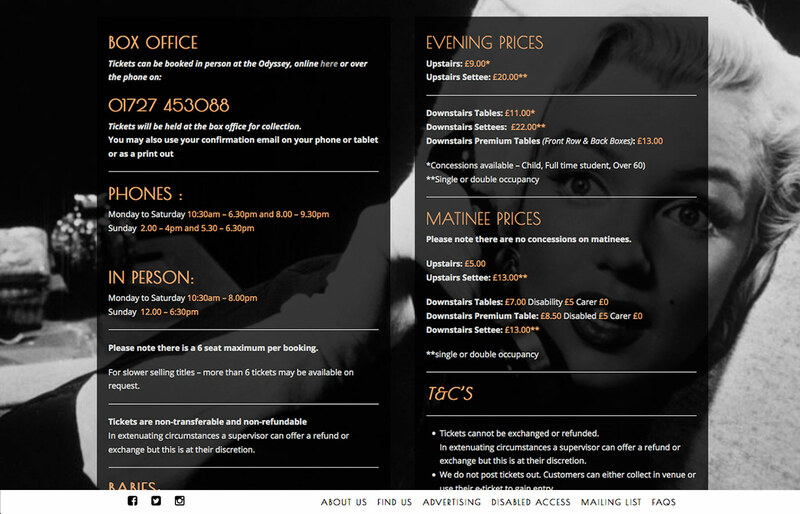 Most recently the site has evolved to utilise a third party booking system, which is also integrated with their on onsite foyer sales.